A fantastic tropical island that has brilliant blue waters, breathtaking lagoons and fantastic white sands, Phuket is the stuff dreams are made of. From acting as backdrops in massive Hollywood productions to being the ultimate holiday destination for travellers from across the world, Phuket is widely considered as the place to be at. That the weather in Phuket is bright & sunny, of that there is no doubt. Summer temperatures range from “quite warm” to “hot”, hitting the early thirties at all times. Despite the sea breeze bringing temperatures down, Phuket does stay quite warm throughout the year. From May to October, the island faces a heavy monsoon season, which is probably the best time to stay away and avoid tropical storms and rain. 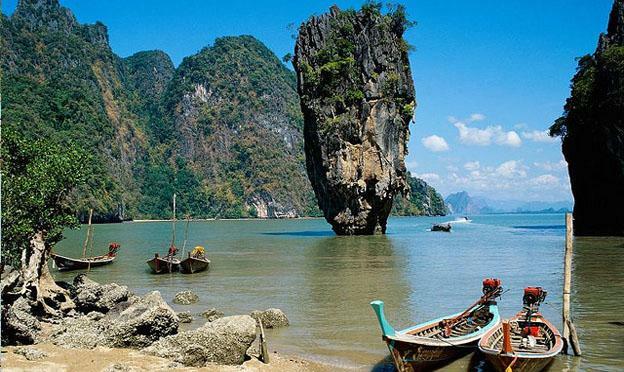 Phang Nga Bay is one of the most magical places on Earth, created by water cutting through massive limestone cliffs. The bay is an amazing look at nature’s power, a completely different experience to what awaits on the shores. On the beaches, Phuket has a strong Sino Portuguese influence that shows in the local food and stores. 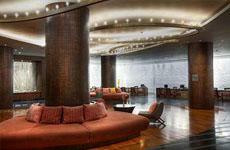 There are fantastic restaurants, breezy clubs and racy parties that head late into the night. Phuket is as much a destination for the nature lover as it is for the party animal. Bangla Road is a place that is buzzing with activity at night, but a good sense of humour and an open mind are absolutely essential at the place. 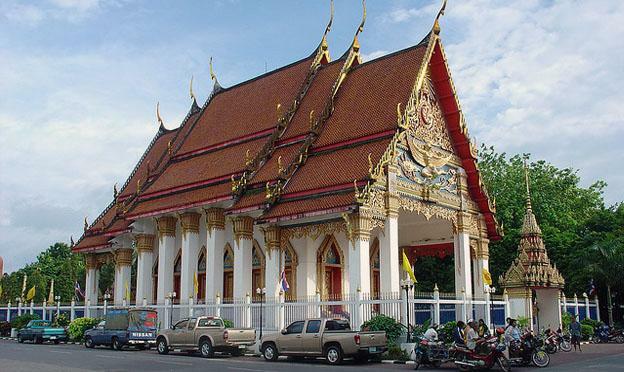 There are, other, sober attractions as well, such as the picturesque Old Phuket Town, which has tiny alleys and narrow streets lined with local artisans & craftsmen plying their trade. 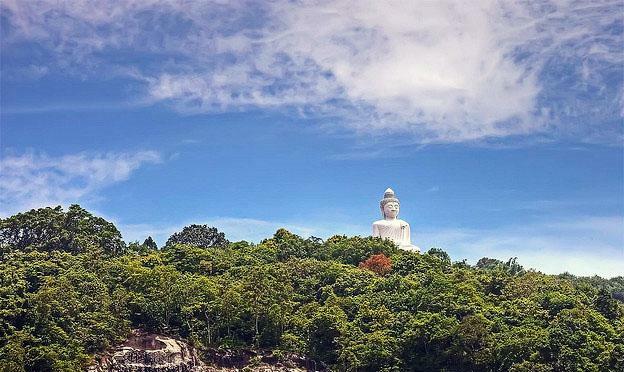 There is the breathtaking Buddha statue that stands at a massive height of 45-metres. A shrine, as well as a Golden Buddha (of smaller proportions) accompanies this massive statue. Located along Phuket’s beautiful downtown area, the Millennium Resort Patong is all about tropical beauty and luxurious amenities. The resort has everything that a tourist could ask for – restaurants, clubs, cafes, bars, swimming pools, a private beach, and much more. For those who are there to party, stepping out of the hotel’s doors might be quite a waste of time. 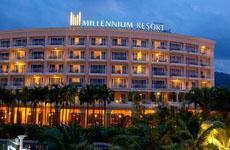 Just 40 minutes from the airport, the Millennium Resort is the sole five-star property on Phuket. There are rooms and cottages for guests, all furnished with the latest amenities and wonderful views of the beach or lake. There are landscaped gardens, wonderful views and a whole lot of rest & relaxation – what more could one ask for? When it comes to thoughtful design and natural beauty that mimics that of the island of Phuket, the Burasari Resort comes closest. The hotel has a fantastic dining room that also offers live entertainment, while those looking to party all night-long can choose from the hundreds of clubs around the hotel as well the few in it. 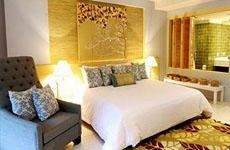 However, the Burasari Resort is also for those who’re looking for a quiet time. The resort is slightly secluded and is right next to Patong Beach, giving a host of options to guests with different demands. At the holiday Inn Resort, outside of Phuket Town, peace and tranquillity prevail. The resort is ideally for those who’d like to take some time off of their hectic lives and come to Phuket for taking in the sights and letting time stand still. The hotel is just ten-minutes from Phuket’s downtown area and just a few miles from the hustle-bustle of the party-joints. However, guests at the hotel can never be too far from the action as the 260-rooms, at the Holiday Inn, come with a fantastic restaurant, a lovely bar & café as well as a brilliant pool that connects all parts of the facility. Every pool comes with its own bar on the side, an added attraction to those who just want to chill.